HERE is travel.com.au's Ultimate Ski Resort Bucket List - some of the world's best ski resorts. This French ski resort is high in the Espace Killy in Vanoise National Park, 5km from the French-Italian border. There's something for everyone across the 300km of runs, 10,000ha of unmarked slopes, two glaciers, a vertical drop of almost 2km and 100 ski lifts. All of the above can be found across the resort's three main sectors: Bellevarde, Tignes and Solaise. Bellevarde is home to Val d'Isère's two most famous slopes, OK and Face, which have both played host to World Championships and Olympic Games. Face is often mogulled from top to bottom so if you're an advanced skier, give this a run for a decent challenge. If you're an intermediate skier, Bellevarde is your best bet with a wide variety of green, blue and red runs. Beginners are advised to start off on the nursery slopes at Solaise. At the foot of the majestic Grand Tetons, Jackson Hole Mountain Resort draws millions of visitors every year, thanks to its proximity to several infamous ski slopes. The resort covers two mountains: Rendezvous and Après Vous. The runs are 50% expert, 40% intermediate and 10% beginner. You will find the intermediate terrain predominantly on Après Vous Mountain, whereas Rendezvous Mountain is home to extremely challenging terrain, including chutes, bowls, glades and the greatest continuous inbounds rise in the country. If you're planning to access the terrain off-piste, be sure to have the avalanche safety gear required. Whether you're planning to hit the slopes on Aspen Mountain, Aspen Highlands, Snowmass or Buttermilk, you'll always find fresh powder under your skis. Beginners and intermediate skiers alike can challenge themselves with the steeps and bumps dotting the easier runs. Advanced skiers can test their skill across hundreds of hectares of thrilling terrain off the backside of the mountain. But this tick against the bucket list may hit the wallet hard. In the spectacular Coast Mountains of British Columbia, two hours and 125km north of Vancouver, Whistler has the largest ski area in North America. Whistler's charming ski village is nestled at the foot of two mountains: Whistler and Blackcomb. For advanced skiers, Whistler provides a new challenge with every turn. The mountains' bowls will keep experts occupied for days with various gullies and chutes. Give the Glacier, Flute, Whistler, and West Bowls a try. For intermediate and beginner skiers, Blackcomb and Whistler both provide great options so don't feel as though you're limited to one or the other. Zao Onsen is one of Japan's oldest ski resorts in the north-eastern Tohoku region, 400km north of Tokyo. The resort is renowned for its "Snow Monsters" or "Ice Trees". This all-natural, bizarre phenomena is a result of the freezing winds blowing snow and ice up into the fir trees transforming them into weird and wonderful shapes. The ski resort is home to 42 lifts and an impressive 881m vertical. Only if you're up to it, set off on the 10km run which promises to give the legs an impressive workout - one in need of some Zao hot spring relaxation once you're done. Oozing with character, Cortina d'Ampezzo is at the top of the Valle del Boite in the southern Dolomitic Alps - about three hours from Venice. To tick this one off the bucket list, you'll have to brave the steep and winding roads through the mountainous landscape before arriving at this picturesque town. Once there, you'll have the choice of accessing the slopes via 52 lifts servicing the groomed runs. You can also buy the Dolomiti Super Ski Pass which offers access to an extra 50 resorts in the surrounding area. As the first resort to open in Canada and second in North America, Mont-Tremblant proudly holds the title of Eastern Canada's best-known ski resort. 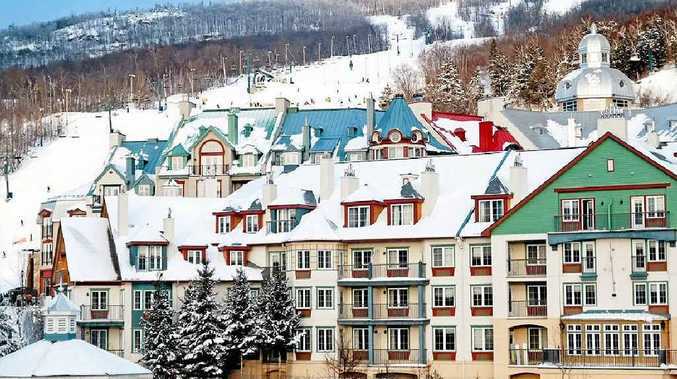 The twinkling, French Alps-style village at the foot of Mont-Tremblant is dotted with hotels, restaurants, cobbled streets, patisseries and colourful buildings rich in history. The year-round ski resort boasts 95 runs which wind down four separate faces. For a steep challenge, check out Versants and Soleil. There are also plenty of long runs for intermediates and two purposely carved snow parks for beginners. Wanaka, New Zealand, offers some of the best skiing available in the Southern Hemisphere. The village is at the southern end of Lake Wanaka in New Zealand's Southern Alps, 68km north-west and one hour's drive from Queenstown. Four ski areas are within a 40-minute drive of the town centre: Treble Cone, Cardrona, Snow Park and Snow Farm. Treble Cone has a reputation for having the best lift-accessed terrain in the country. Nestled in the heart of Mount Kosciuszko National Park, about 500km south of Sydney, Thredbo is home to the highest lifted point, steepest terrain and longest runs in the country. The village sits at a low altitude (1365m) so, depending on the weather, there may not be a lot of snow around town or on the lower half of the mountain. But as temperatures drop below zero at night, snowmaking is possible. There are over 50 runs catering for all levels. If you're a beginner, hit up Friday Flat and if you're keen for more of a challenge, test your skills out on the Supertrail or the Central Spur.